As we get older our lifestyle begins to slow down. We start experiencing more aches, more pains and lose the confidence we once had (and took for granted) to do the everyday things that we enjoy most. As you get older it become even more important to stay active so that you can hold onto your good health and keep your independence! We already know that regular exercise does wonders for your body: reducing your risk of heart disease, stroke, diabetes and even some cancers. However, a recent study took these benefits one step further and found that 70+ year olds who do just half an hour of exercise, 6 days a week, could live up to 5 years longer. “Keeping fit isn’t all about running marathons and lifting heavy weights, it’s about giving you the strength and the confidence to do the things that you enjoy. Playing with your grandchildren, going for walks and doing the gardening, all can be made possible with regular exercise and an all-important ‘I can do this’ mind-set. My dad will turn 80 this year and is currently training to take part in the Coast-to-Coast challenge this summer. He is living proof you really are never too old to get fit, you just have to give it a go.” says Sarah Grant, Personal Trainer at Train Together Functional Fitness Studio. It’s never too late to improve your lifestyle and reap the rewards of keeping fit. Start off by adding just 10 minutes of physical activity to your day, every day. 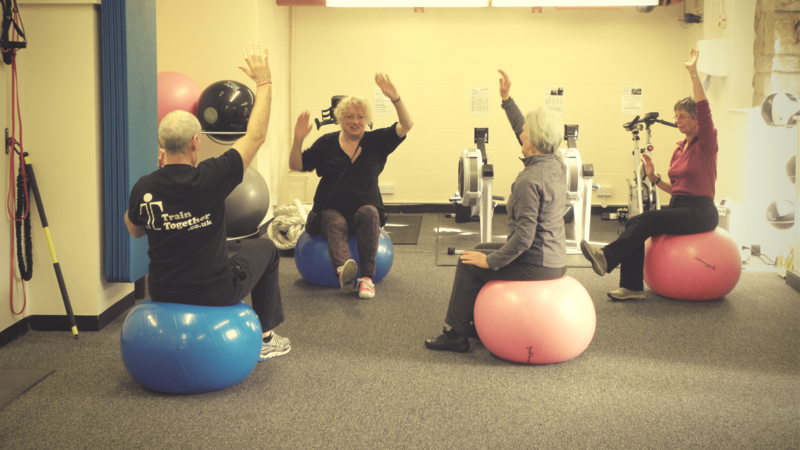 Try going for a short walk or get in touch with Train Together and learn more about our fifty plus fitness programmes, including our over 60s Platinum membership package and 1-2-1 personal training. Although over 70 years of age, I needed to lose weight and get in shape for a mountain trek. With Sarah as a personal trainer for two hour long gym sessions a week over five months, and taking her expert advice on diet and exercise, I lost two stones and put on enough muscle to sail through 24,000 feet of ascent and one hundred miles of mountain walking over ten days. Those improvements to my weight and core fitness are now being maintained through twice weekly class sessions of weights and Boxercise with Neil and Sarah. More trekking beckons!